Breakfast in Bed – Done! I love the way these turned out. 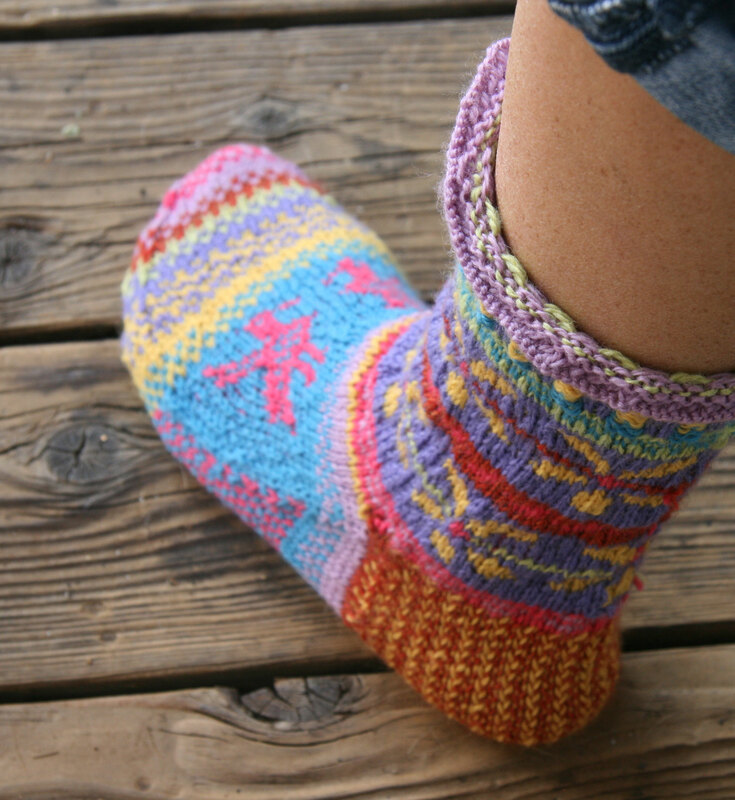 But there is one slight thing which I did not notice until I was knitting the second TOE. See the birds on my foot? They are positioned so that I see them right side up when I look down. However, the photos of the socks in the The Joy of Sox book all show the birds positioned so a person standing in front of me would see the socks right side up. My socks show everyone else upside down birds. 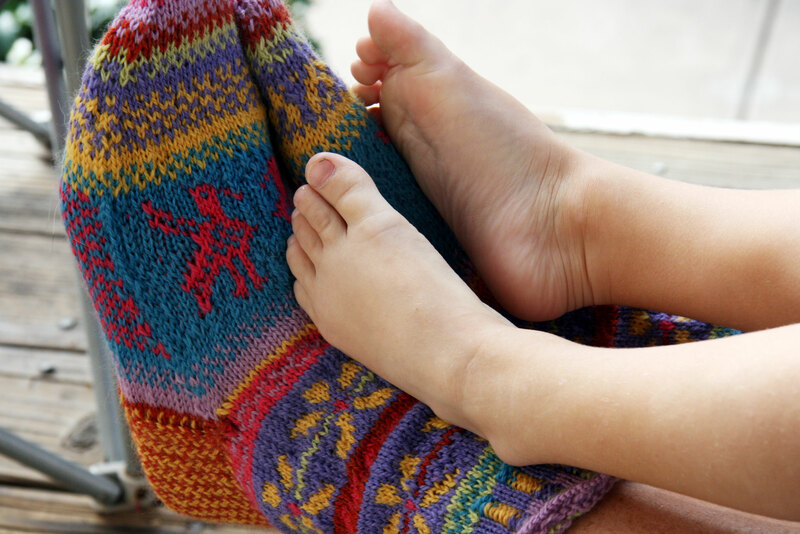 When I read a fair isle pattern, I start at the bottom. That’s what I did here. So now I have “Christina and her amazing upside down bird socks”. Now – I am the one who will probably look at my socks the most, so maybe that’s ok. Makes me look like the ultimate Sock Narcissist maybe, but I do like seeing those birds! I don’t know if this is a problem with the pattern. I think it is more a problem with my powers of planning and observation. It’s not much of a problem in the whole scheme of things. Very cute socks 🙂 love the colours! The socks are way cool. And I like the birds looking back at you instead of out to others. Great job! I would have knit the socks the same way with the birds facing me. Beautiful. I love all the colors. I need to put that pattern book on my wish list!